The Little Tweedy Drive is voiced after the famous small Tweed amp tone, like the tone on Tweed Deluxe. 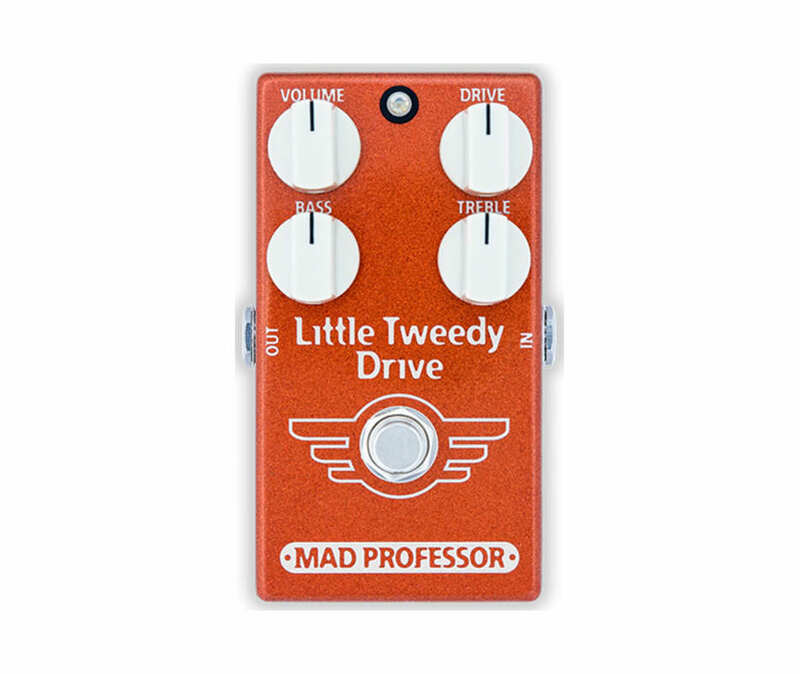 The Little Tweedy Drive provides a vintage tone that is used on many recordings: big, fat & punchy midrange with a sweet growl reminiscent of the late 50s amplifiers. The Little Tweedy Drive has a tone that almost purrs! With the Little Tweedy Drive, you dont just have the Tweed tone, but also the hard to get dynamics and touch sensitivity that are the qualities that have made the Tweed amps classic and raved about among the players. This unique pedal it is the most amp-like feeling pedal you have ever experienced.